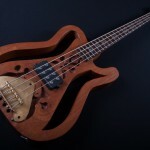 Wood carving is a special art & in this unique instrument is the main element. 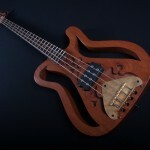 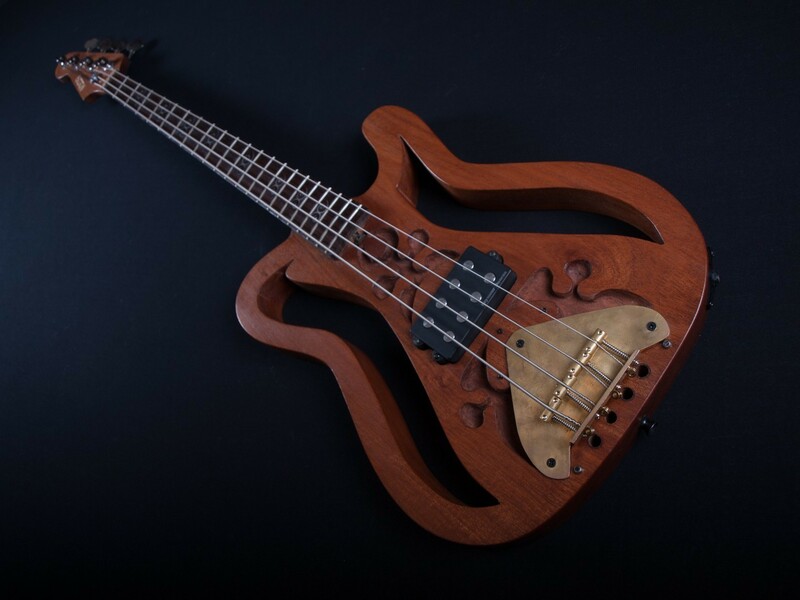 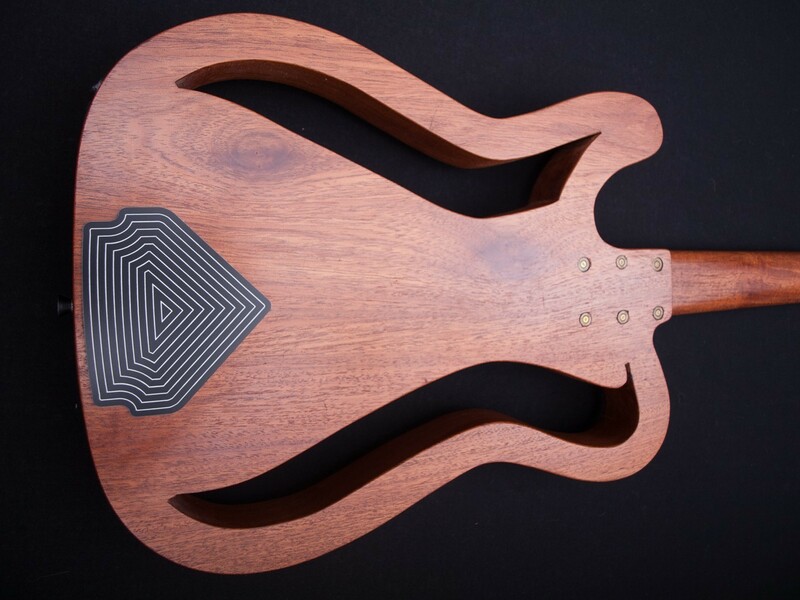 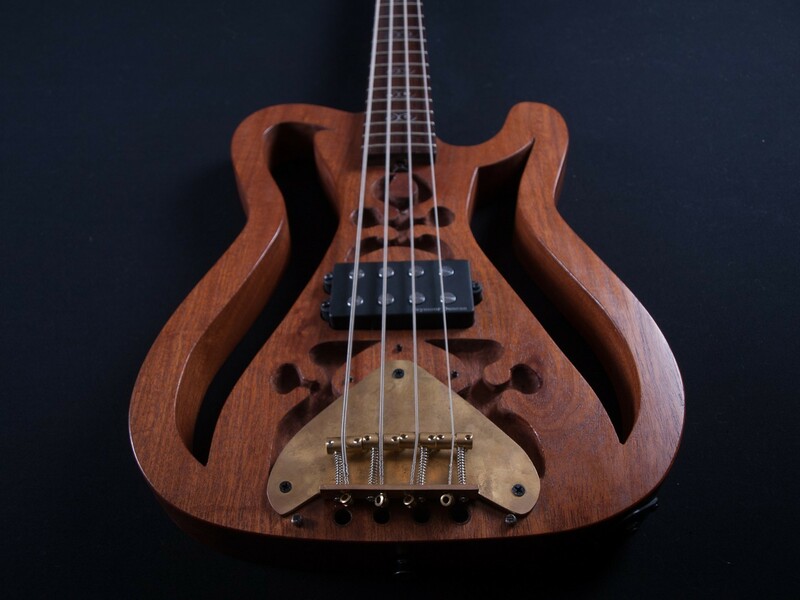 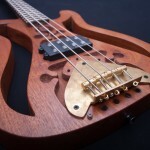 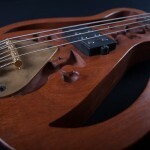 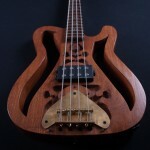 The “teacher” gave us a hand in the inner designs and we cut the big parts to create this impressive body made of solid red mahogany, that we called Sculpture bass! 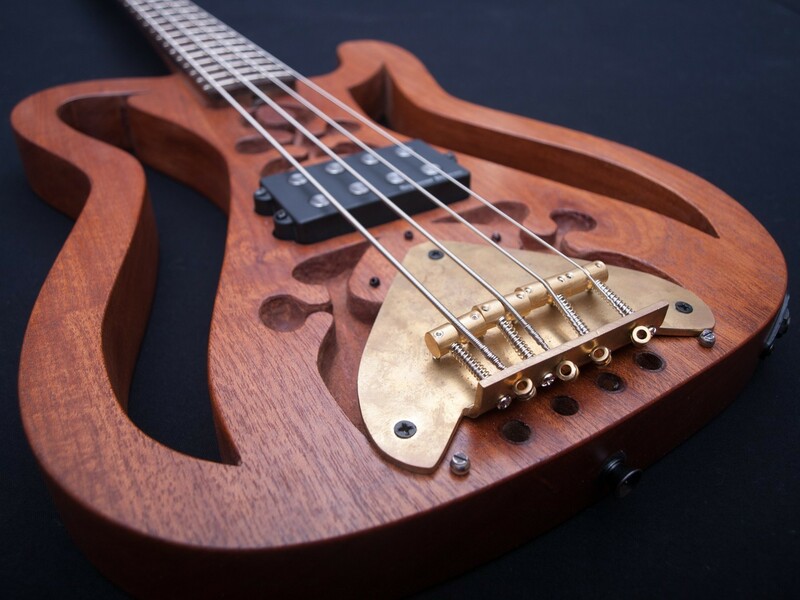 The specificity of the draft body, “forced” us to build from scratch a completely original handmade bridge, made of pure brass, fully adjustable with brass saddles. 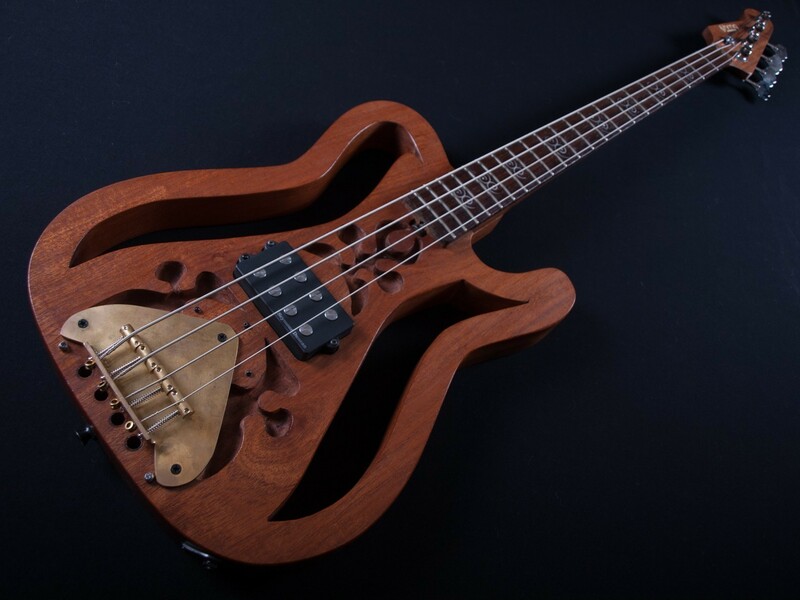 The neck is also constructed from solid mahogany with double action rod and a fingerboard made from wenge, a wood that we fanatically worship! 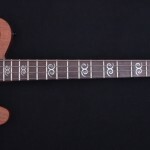 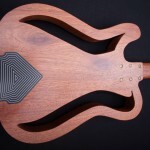 The inlay marks –double twirls– cut with a laser and is also completely prototypes, made from scratch by Stamatis hands. 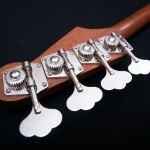 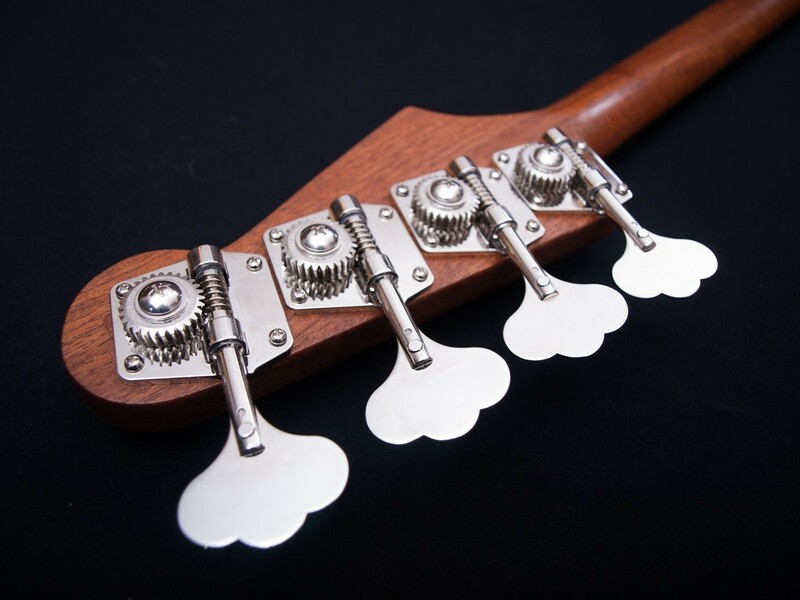 Continuing diversification, we did the headstock inverted, with tuning machimes by Gotoh, Res-O-lite, made of aircraft aluminum alloy, just 64 grams! 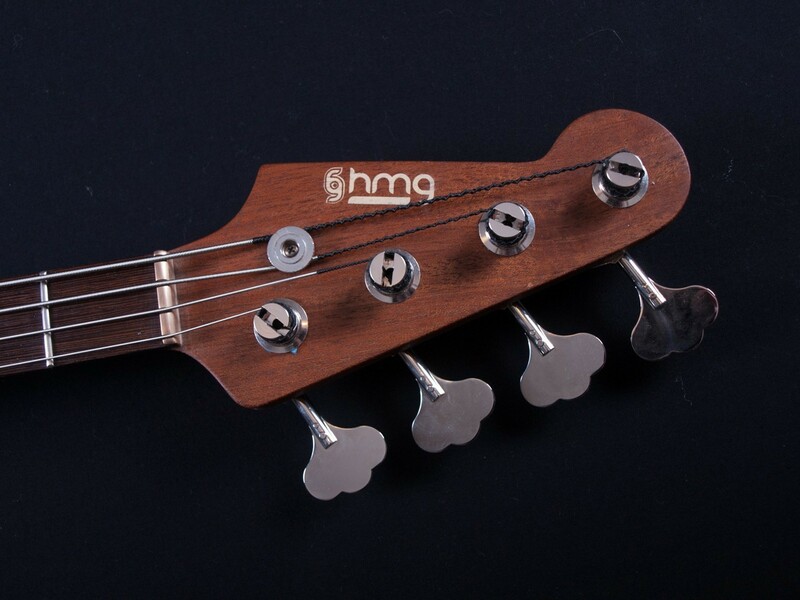 In electronics we choose the minimal way. 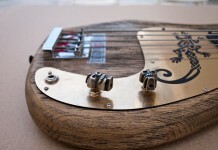 A Seymour Dunkan Basslines passive with direct connection to the output and that’s all! 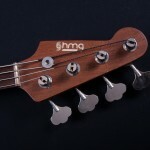 We have choosen La Bella strings, the Slappers and we made the right choice! 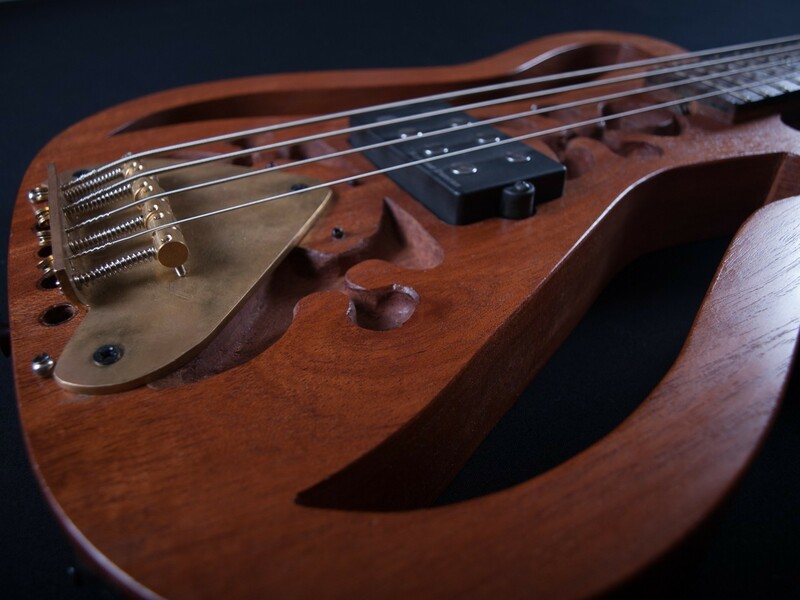 Playing with this unique instrument, is easy, soft and produces rich sound -because of mahogany and its plan- even if you use it acoustic! 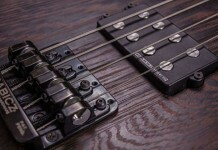 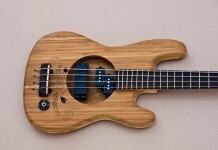 With the power of Basslines easily covers wide range of styles and the feeling is special, unique!